It is possible. CRM and ERP systems can work together in harmony… and drive serious results. 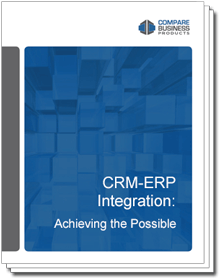 Our new white paper, CRM-ERP Integration, dives into why this daunting task is worth the trouble… and how to achieve it.